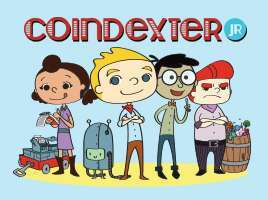 Introducing Coindexter Academy! 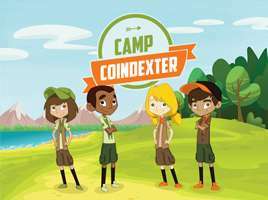 Coindexter Academy is our new financial literacy curriculum for grades 3 - 5 that works in conjunction with the Coindexter Club. Based on National Financial Literacy Standards, Coindexter Academy offers a unique approach to financial education in elementary schools. Students learn financial concepts in class through discussions and activities presented in the 32-page student workbook. Each lesson includes a virtual mission to be completed in the game-based world of Econopolis found at Coindexter.com. Each student is given a premium Coindexter Club subscription to take full advantage of all the resources offered by Coindexter.com. Teachers can keep up with each student's progress through the Coindexter.com teacher portal. Each student's earning, saving, and spending levels are tracked as well as their progress towards achieving each mission objective. Coindexter Academy is also offered in a convenient Home Study Kit, so parents can get involved in their child's financial education.